Finest-Filters 25-30mm Filter Wool is the second thickest filter wool we offer, providing one of the best mechanical filtration solutions. Suitable for Aquarium and Pond Filters, simply cut to size. 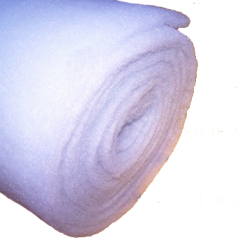 Our 25-30mm filter wool is available in 3, 5, 10 and 25 metre lengths.